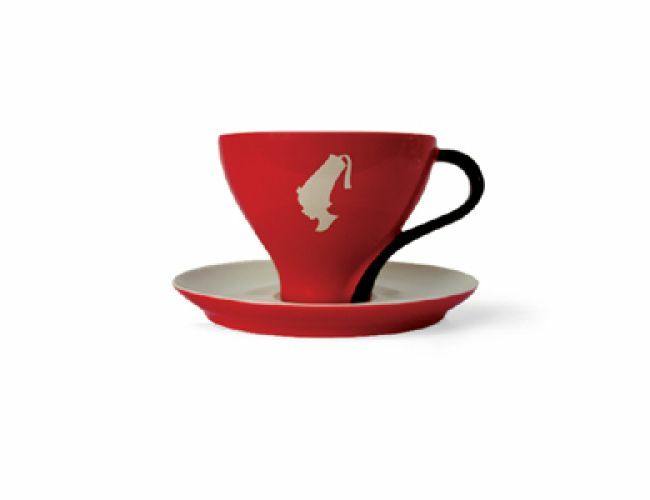 Julius Meinl Trend Cappuccino Cup with saucer composed by the Italian-Austrian architect and designer Matteo Thun. The innovative design of the cup enhances the coffee to develop it's full aroma and delicate taste. A classic theme portrayed in a contemporary design. This coffee cup joins our assortment and is perfect to enjoy an Italian cappuccino or a double espresso with milk. If you want to re-create the Vienna coffeehouse experience, match this cup with the silver serving tray (and perhaps the small water glass). They fit together perfectly.